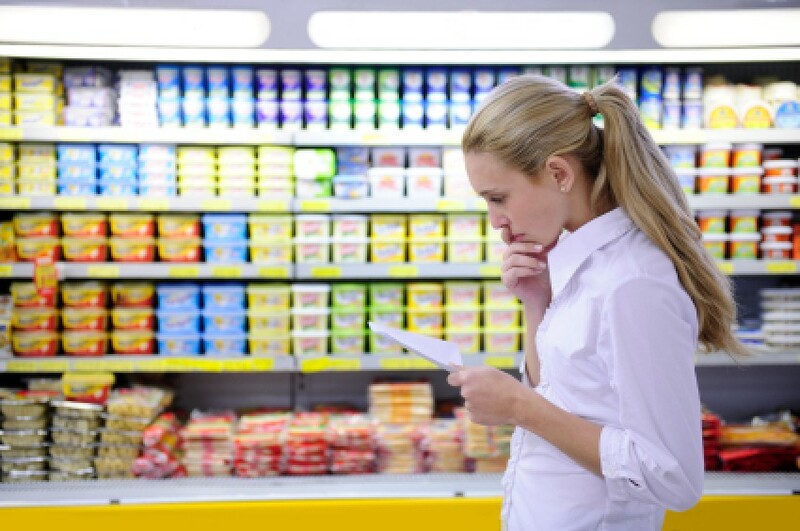 Have you ever gone grocery shopping and walked down the same aisle several times? 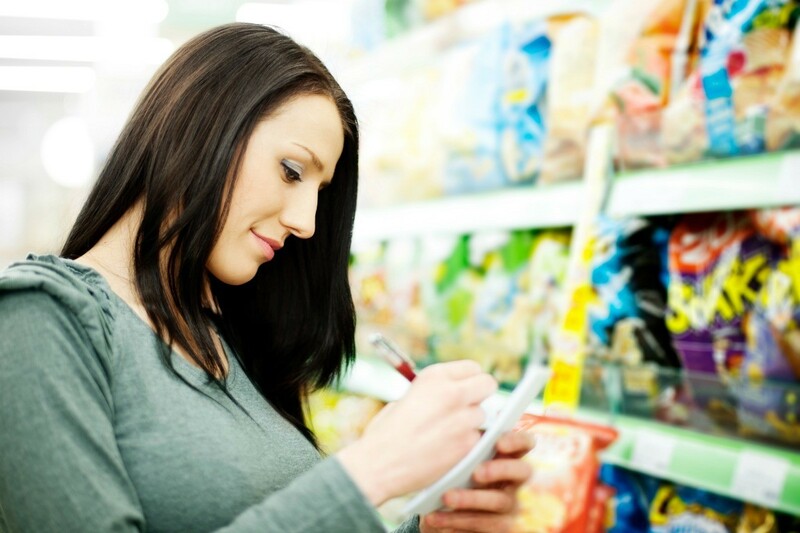 An organized grocery list can save you time at the grocery store. This is a guide about organizing your grocery list. With three children under four, going to the store is a major event and I hate having to go more than once a week because I forgot something or we ran out of something before shopping day. The "Top Shelf Rule" has helped out tremendously. Buy one extra of everything nonperishable that your family uses regularly (ketchup, rice mix, soup, cooking spray, ziploc bags, etc.) and devote your top pantry shelf to just these items. The top shelf rule is that no one in the family is allowed to take something down from the top shelf without first writing it on the grocery list. This way, we never run out of things before grocery day. It has worked so well, that I have started a "top shelf" with my cleaning supplies too. 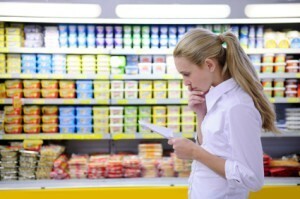 Save a lot of time and money by organizing your grocery list the the location of the item. Before I go to the grocery store (Meijer), about 1 time a week, I write out my grocery list. Having been to Meijer many times, I pretty much know where to find each item in the store. So, when I write out or type my list, I list the items that I need based on my entry to the store and their location. Since I've done this over the last several months, I have saved SO much time and money. I've probably cut my time to shop in 1/2, since I don't normally find myself back at the front of the store and then realize I have to wheel all the way to the back of the store to get an item I forgot. It's also saved an unknown amount of money, as I do not need to go down an aisle with items that I do not have written down. As another side-tip, if an a aisle that I do need to go down is full of other carts and people, I will usually park my cart at the end/or side of an isle (out of cart traffic), then walk down, grab the item I need (without looking at other non-essential items), walk back to my cart...and on my way I go! Sometimes when life gets hectic, it is difficult to keep track of pantry and freezer contents before setting up a grocery list. Instead of going through them to see what I need, I purchased a cheap (dollar store) magnetic dry erase board and keep it on the fridge. If something is low or gone, I mark it on the board to make my grocery shopping plan go much faster. Also, it helps enough that I don't have to make another trip for the one thing I forgot. I use the "note" section in my cell phone for my grocery list. I carry my phone everywhere so I am certain not to forget my list. If you have audio recording on your cell phone, you can also remind yourself what lot number you parked in. I usually grocery shop at three different stores in one day. My grocery lists were getting confusing. I had a hard time trying to keep track of what to buy at what store. In between shopping trips I jot things down on a list, then the day before I go, I organize that list. When I make my grocery list, I divide it into sections the same way the store is laid out where I am going. I sometimes forget my shopping list when I head out to do my shopping. I discovered my cell phone has a notepad on it. I have started keeping my liist on my phone now. We always have our phone with us so no more forgotten list. I made up this shopping list and found it to be very helpful. It separates the items I need so I don't walk all over the store needlessly. I keep a small memo board on the side of my fridge to write down those things you run out of that are not normally on your grocery list. Kraut, capers, special spices, brown sugar, molasses, cranberry sauce, the sort of thing. I make out my grocery list with the store ads in front of me and I also cut coupons. When I write the list, I got through the coupons and beside the item I write (VC) for vendor coupon, same for store coupon only I write (SC). I make several lists long before my actual food shopping week. First, what items I can get at the dollar store? I am always amazed at how many name brand foods are sold at the Dollar store. In order to save money on my weekly shopping, I go to several stores. But I was always having trouble remembering if an item was cheaper at a store. With the escalating cost at the grocery, we need an accurate list to conserve time, gas and, most of all, not buying something we already have at home! Hang one of those market lists with a magnet on the back right on your fridge. I am always losing my shopping lists. Since I always have my phone with me, I put my list on my phone's notebook. As I collect the groceries, I delete them off the list. It also helps me to stick to the list, with less impulsive buying. I keep my grocery list on the "notepad" of my cell phone, so that when I go to the store, all I have to do is check on my phone to see what I need. No more forgotten grocery list at home. To locate your shopping list easier, use colored paper or cardboard and keep it permanently in your purse. Use different colored inks to desiginate your preferences and stores. This is a guide about using your computer to organize your shopping list. Having a convenient list of the items you need will help you stay within your budget and save time. This is a guide about organize your shopping list by aisle. 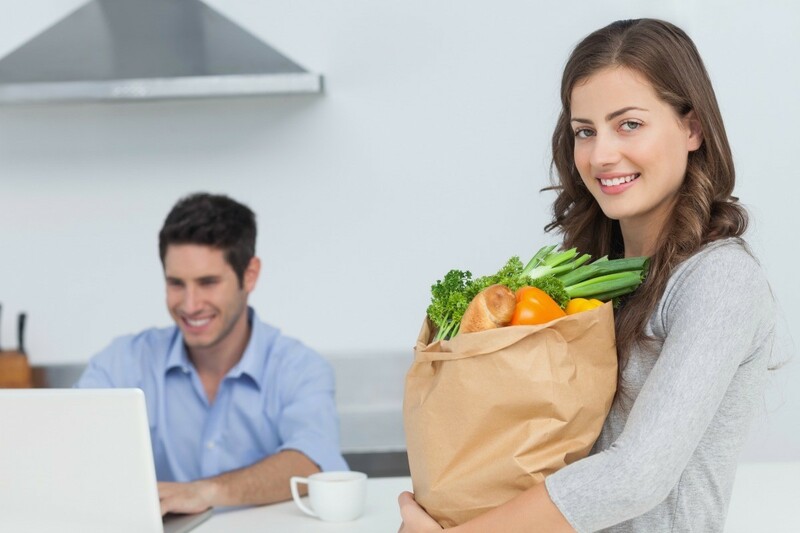 You can save time and even money if you organize your shopping by the aisles in your favorite market. 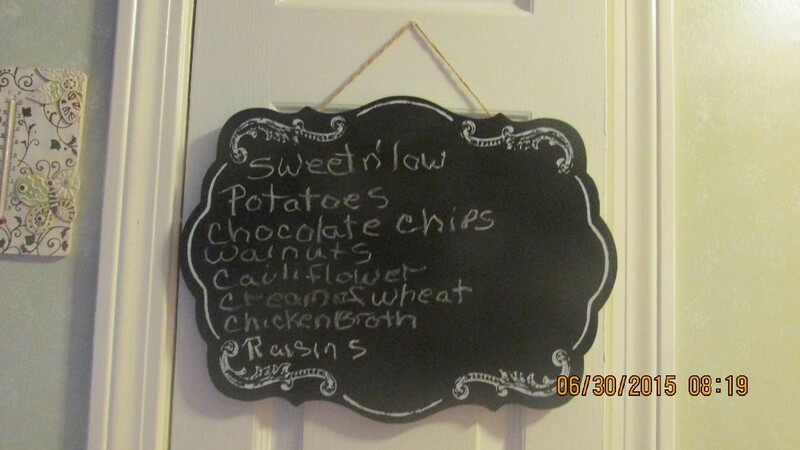 A small chalkboard in you pantry or kitchen can be an easy way to compile a shopping list. This is a guide about using a chalkboard for your shopping list. quicker as long as the list is organized. the time running back to a particular section to pick up something I missed. in a binder. When I need more, I'll print more. Make a shopping list and stick to it. List your items in order of how they are stocked in the store. This will save time and money. I would use pre-printed grocery lists if I would not love my system of making lists on post-it notes which I love to attach to the shopping carts when shopping. What I do is I keep my list growing during the week in no order (whatever needs to be bought, I add to the list), then, just before the shopping, I quickly rewrite the list on a new post-it note in the order of aisles in my store. I know the order by heart. I also start with no refrigeration needed items and the last aisles I visit are the aisles for dairy, meat and other refrigerated or frozen items.